Actress Eliza Dushku says she was sexually molested at age 12 by a stunt coordinator during production of the 1994 film "True Lies." In a post on her Facebook account Saturday, Dushku also alleged that Joel Kramer, then 36, caused her to be injured on the set as payback for disclosing the alleged misconduct to a friend. Kramer denied the accusations as "lies" in trade publication interviews. A Dushku representative didn't immediately respond to a request for comment Saturday. "These are outlandish, manipulated lies," Kramer told the website Deadline. "I never sexually molested her. ... I think she's making this up in her imagination." "True Lies" filmmaker James Cameron said he was unaware of what he called Dushku's "heartbreaking" experience and lauded her as "very brave" for speaking up. "Had I known about it, there would have been no mercy," said Cameron, who was taking part in a Q&A session with TV critics Saturday to promote a new TV show. "Now, especially when I have daughters, there really is no mercy." Dushku joins the growing ranks of those alleging sexual misconduct in the wake of the Harvey Weinstein scandal. 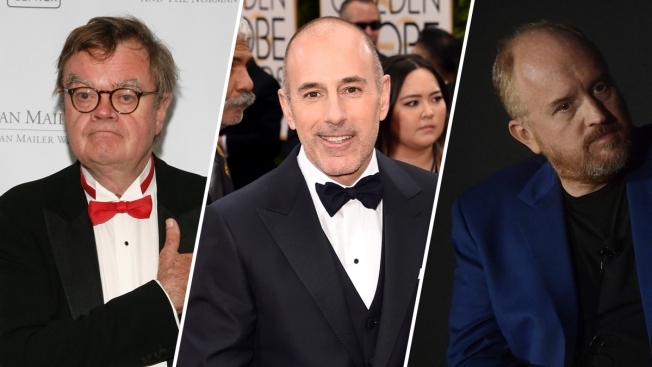 The allegations against the movie mogul, which he has denied, and other Hollywood and media figures gave rise to the #MeToo protest movement. In her post, Dushku said she shared what occurred at the time with her parents, two adult friends and an older brother, adding that no one "seemed ready to confront this taboo subject then, nor was I." She said the "ever growing list of sexual abuse and harassment victims who have spoken out with their truths have finally given me the ability to speak out. It has been indescribably exhausting, bottling this up inside me for all of these years." Dushku alleged in the post that Kramer lured her to his hotel room, put her on a bed and, approaching her naked except for a "flimsy" towel, rubbed his body over hers. When she confided to an adult female friend who then confronted him on the set, Dushku said that she suffered broken ribs "in no small coincidence" in a stunt that went awry. Kramer "was responsible for my safety" on the film, she said. Sue Booth-Forbes told Variety and Deadline that Dushku is "telling the truth." The Guardian said she reported what she called Kramer's "inappropriate sexual behavior" at the time and that no action was taken by what she called "a person in authority." She did not identify the person. The Associated Press, which does not normally identify minors who are victims of sexual abuse, is reporting Dusku's name because she has gone public with her allegations. "True Lies," starring Arnold Schwarzenegger and Jamie Lee Curtis, is one of a string of Cameron hit films that include the "Titanic" and "Avatar."